Zuraw Technologies is a Surface Engineering Solutions Provider. We offer our customers the benefit of over 15 years of experience in the Coating, and Surface Engineering fields. Far more than a plating shop, Zuraw Technologies ensures the best possible solution for corrosion, wear, and lubricity. Founded in 2006 by President and Owner Michael Zuraw, the company has grown on providing a total solution for the customer. This often involves detailed knowledge of the part design, function, and manufacturing. Having specific experience in these fields Zuraw Technologies can help find the best possible solution for the protection of your parts during the design phase, as part of the manufacturing process, or as repair and refurbishment. 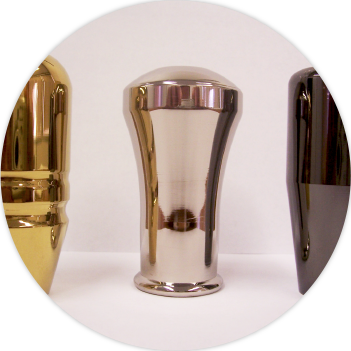 Our in house capabilities surpass the competition in every aspect, delivering a quality tested coating with quick lead times and robust performance. This is an auto-catalytic plating process during which nickel is evenly deposited over the surface of the base metal. A true Co-Deposition, Polytetrafluoroethylene (PTFE) particles are deposited in a matrix of Nickel plating this imparts excellent lubricity onto the coated part. Zinc is popular as a fastener coating because it is the least expensive, can be applied in a broad range of thicknesses, has good-to-excellent corrosion resistance, and is relatively non-toxic.